If the first thing you say when you wake up is, “OMG, my hair!” you must be someone who is familiar with hair tangles. It’s no secret that having flawless and knotless hair requires a strict hair care regimen. However, are you sure that you’re using the right brush for detangling? Have you invested in a good hair brush? If your answer is no, it’s time to add one to your shopping cart. Here, I’ve compiled a list of the best detangling brushes on the market. Take a look and happy shopping! Boar bristle brushes promote healthy hair growth by stimulating the secretion of natural oils on your scalp. This boar bristle brush by Repsol Care has a vented structure for better and faster drying with a hair dryer. 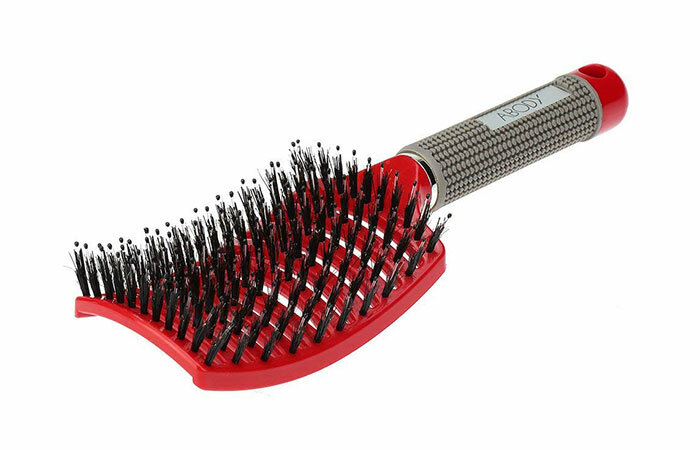 Its nylon bristles help detangle thick and coarse hair and also massage your scalp. This curved brush with an extra large head works well on all hair types. 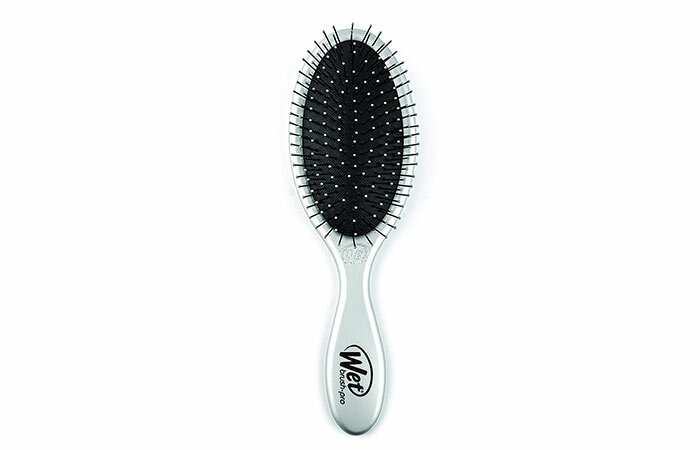 Designed for comfort and maximum detangling, Wet Brush-Pro is one of the leading detangling brushes. It has a sleek metallic finish, which is quite attractive. 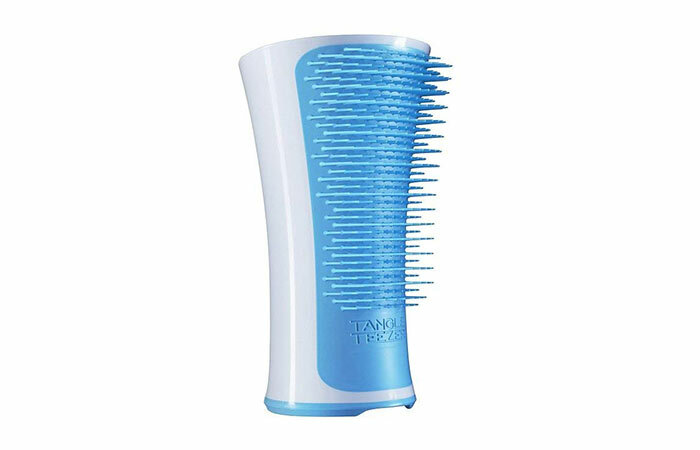 Its IntelliFlex bristles detangle your hair effectively. They serve a dual function of being firm and flexible, depending on your hair type. This brush spreads the natural oils evenly throughout your hair, giving it a natural shine. It claims to remove knots carefully and without causing any breakage. This Magic Fly brush is a straightener, a detangling brush, and an anion hair massager – all wrapped up in one! It promises to give you knotless straight hair within minutes. Unlike traditional straighteners, this straightening brush removes knots effortlessly. Without causing pain or tears, this product reduces breakage and improves the quality of your hair. It also massages your scalp, which aids healthy hair growth. Crave Naturals Detangling Brush is great for both kids and adults. It is designed to minimize breakage and split ends. Its bristles detangle the knots and add shine to each hair strand. They also massage your scalp and increase blood circulation, resulting in healthy hair growth. This brush can be used on wet hair and does not take much of your time. It is gentle and does not cause friction while detangling. It works on even the curliest and most tangled hair. This grooming hair brush is ideal for smoothing and adding shine to your hair. 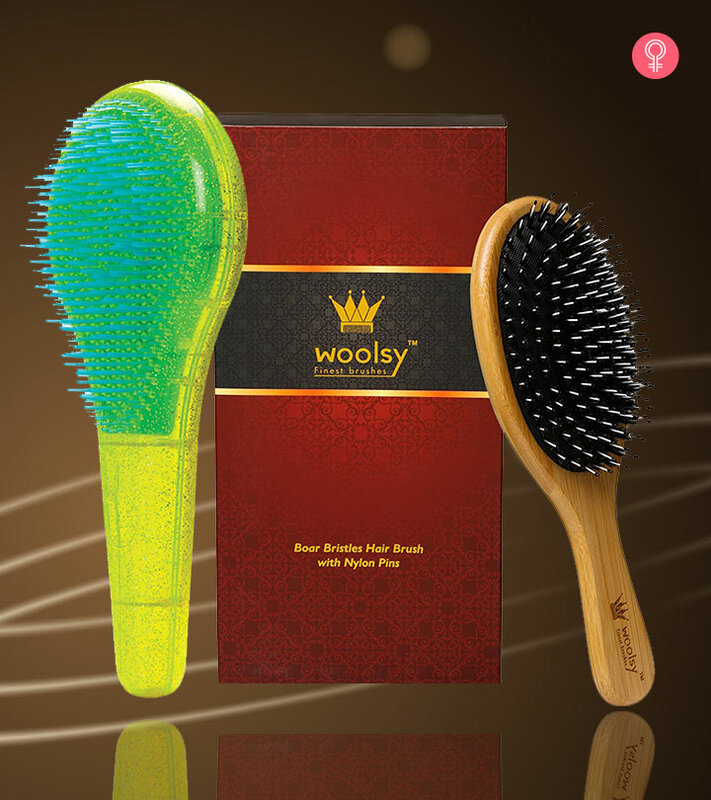 Its nylon bristles are soft and have stay-put ball tips that stimulate and massage your scalp thoroughly. 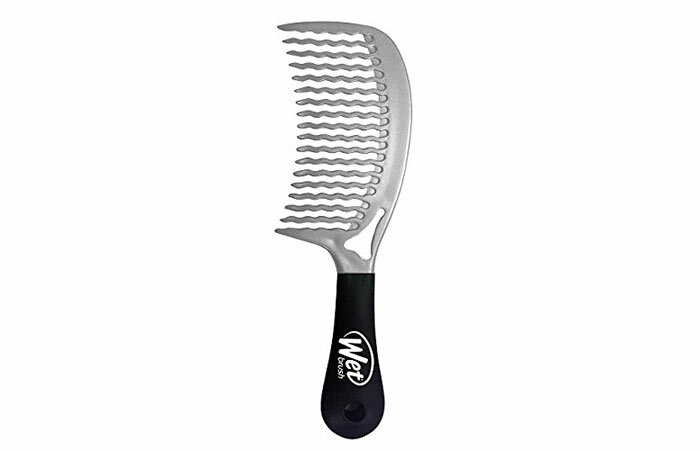 You can use this comb on a daily basis to reduce knots and twists. 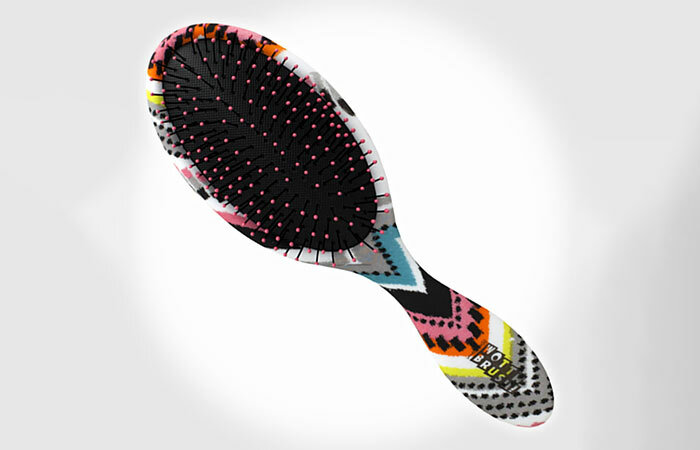 This Vega paddle brush assures knotless, straight and silky hair without causing any hair fall or breakage. It is suitable for medium to long hair. The rubber grip handle offers good hold. 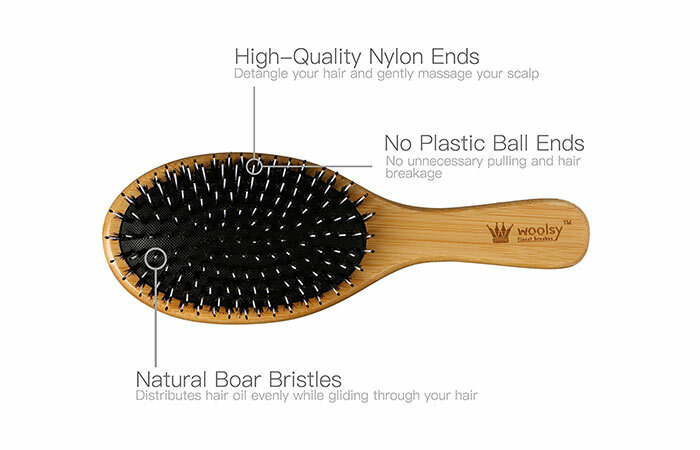 This 100% handmade hair brush is crafted from green sandalwood. Its bristles massage your scalp gently and spread the natural oils across your scalp and throughout each hair strand. This reduces frizz and prevents the possibility of breakage caused by static. It helps you get healthy and shiny hair. Besides detangling, it relieves stress and provides natural conditioning to your hair. The geometric distribution of the bristles in this detangling brush is unique. 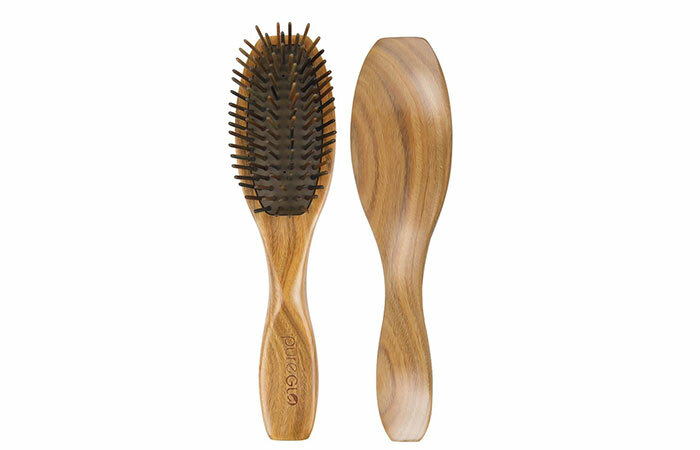 The various heights of its 428 bristles are designed to disperse the pressure evenly on your scalp. With this brush, the detangling experience is pleasant and soothing. It glides smoothly on wet and dry hair, irrespective of its thickness, and works like magic. It is gentle enough to work on hair extensions and wigs. Without being harsh on your scalp, this detangling brush gently removes all knots. Want to straighten your hair while detangling it? This Kingdom Cares brush can fulfill both your needs! 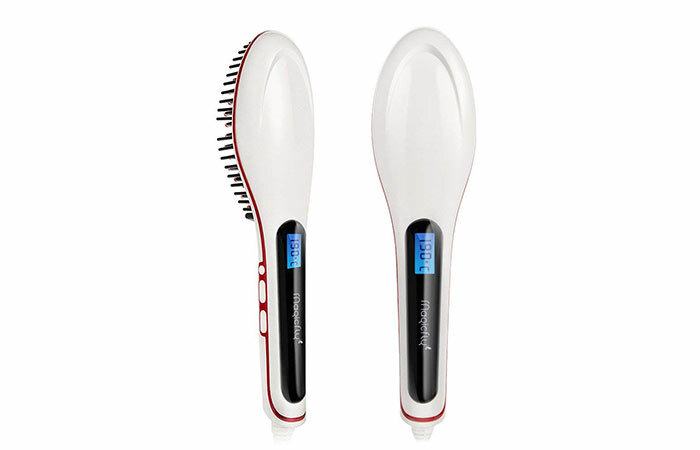 Unlike other straighteners, this brush comes with ceramic iron teeth that ensure zero damage. It claims to be anti-static and anti-breakage and to reduce knots by 100%. It offers you a salon-like look and saves you time. It also massages your hair. Whether your hair is thick, fragile, coarse, straight, or curly, this detangling brush frees it from knots effortlessly. The base of the brush is made with 100% bamboo. It glides through even the toughest tangles. The bristles are flexible enough to be used by any age group. It also helps you style your hair. No tears and no drama as it does not pull on your hair. 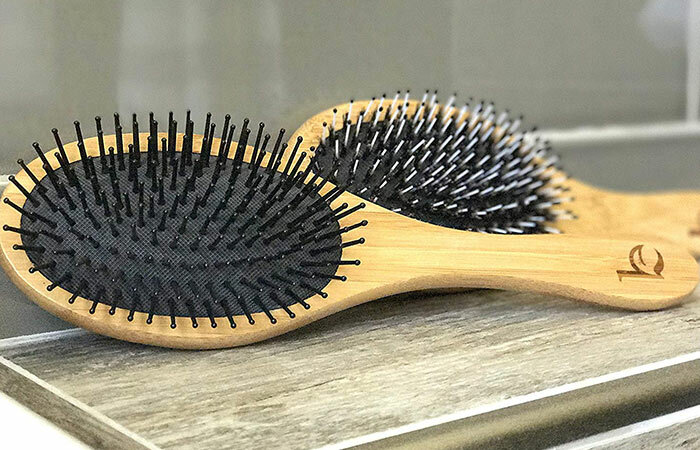 This award-winning hair brush brand is going around the world winning hearts and likes. 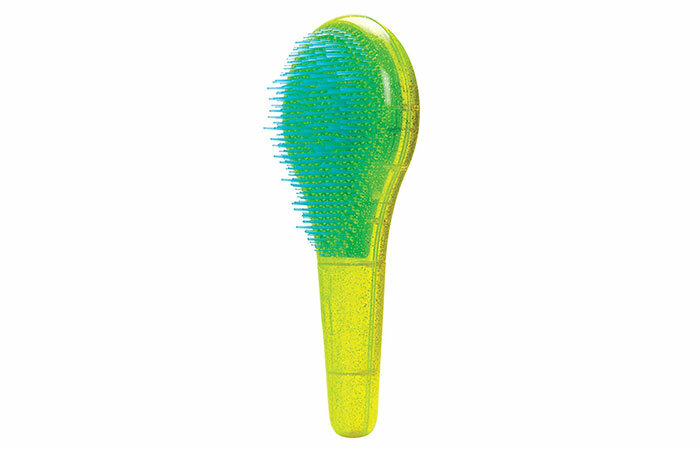 Aqua Splash is a water-loving hair brush. Its hollow design makes it easy and effortless for detangling, and its round curve allows free-flowing detangling. It is lightweight and can be used by children. You can detangle your hair with this brush immediately after shampooing your hair. It is available in many vibrant colors. This brush can give you flawless hair in no time. Makes your hair soft and silky. 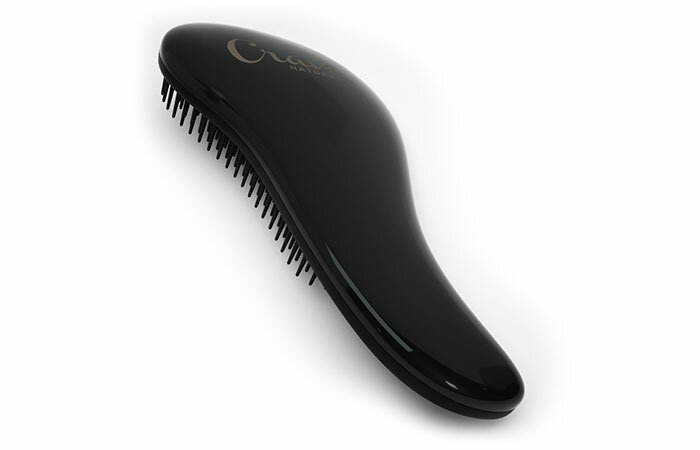 The unique tooth design of this comb allows it to be gentle and glide through your hair smoothly. It claims to be damage-free. The zigzag structure of the bristles helps in detangling your hair evenly. It can also be used to comb through hair masks or conditioners for even coverage. It loosens knots without pulling or breaking your hair. It promises to give you a pain-free experience and claims to save you time. It also protects your hair from split ends. Boar bristle brushes are known for giving you healthy and shiny locks. 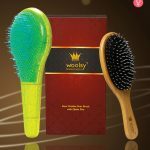 The synthetic nylon pins of this brush are designed to detangle hair and stimulate your scalp, while the boar bristles spread the sebum oil throughout the length of your hair. The brush is smoothly carved and offers good grip. It smoothens your hair and makes it look silky. 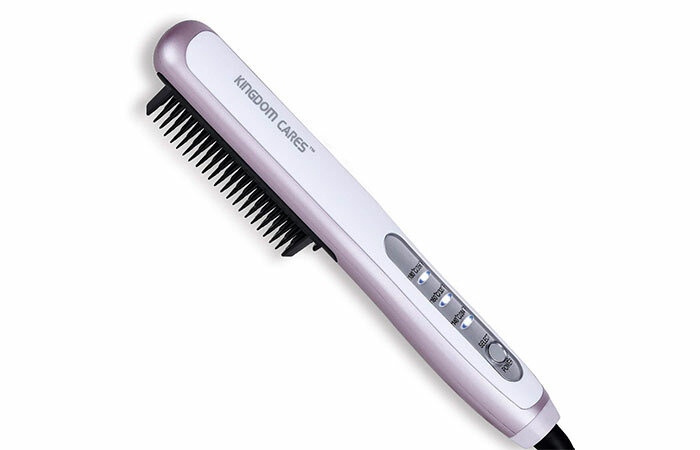 It claims to be anti-static, so your tresses are safe from any friction. Detangling your hair while traveling is super easy with this compact hair brush! 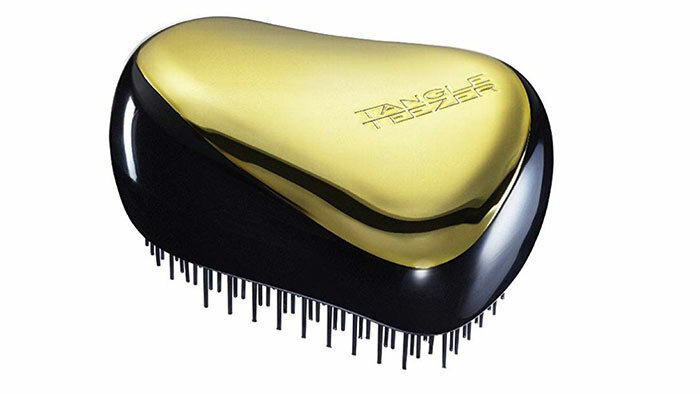 This handbag-friendly hair brush detangles your hair and gives it a perfect salon-styled look. It has a unique two-tiered teeth design, which consists of both long and short teeth. This helps remove the knots effectively. It also smoothens your hair cuticles, giving you frizz-free and shiny hair. This after-shower hair brush lets you style your wet hair. Its IntelliFlex bristles are rigid and allow you to detangle your hair in a single stroke without pulling on it. They glide through even the most stubborn knots effortlessly. Their high flexibility also allows them to bend and turn without causing much friction while detangling. The poly tips are gentle on the scalp and give you a relaxing experience. 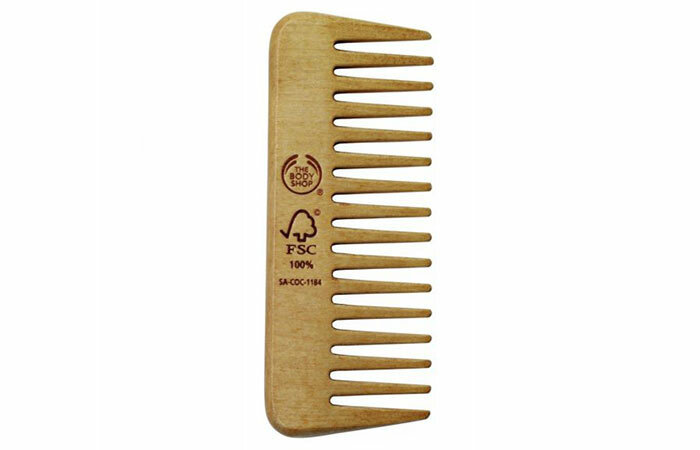 The Body Shop Detangling Comb helps you remove knots from wet and dry hair effortlessly. It can be used to spread shampoo and conditioner throughout your hair. It also lessens breakage. It is a simple product that can be used by any age group. The wooden structure has a very earthy fragrance. It also helps in blood circulation. Since it is made of wood, there is less or no static. You can now flaunt your silky and soft hair by using these detangling brushes. What are your thoughts on these brushes? Have you tried any of them yet? Let us know in the comments section below! Whether it’s long and straight hair, a short and wavy mane, or just noodle-like curls, hair is a distinct part of our appearance. We all try to go an extra mile and look for the best shampoo, hair mask, conditioner, serum etc. that will suit it. We don’t even mind spending a few extra bucks on them. Do you frequently find knots in your hair? Do you lose out on your precious morning time trying to get rid of stubborn tangles? If this is the story of your life, it's time you include a detangling spray in your hair care regimen.